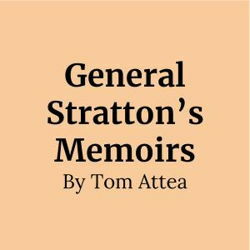 General Stratton has been convinced to write his memoirs about his career in the US military and embarks on a collaboration with his writer, Jill. Jill is very probing, and reliving the memories begins to have serious effects on him. He starts to drink more – and to have nightmares. The troops who have died under his command begin to appear to him. Private Langhorne is the first to visit him and explains he can do so because he lives on in the general’s memory. Private Langhorne’s parents also appear. They want to know why their son had to die. General Stratton commiserates with them. He also relives the deaths of some of the other men, which he experienced directly when he was on the front as a brigadier general in Vietnam. By coming face to face with his past, can General Stratton make a difference in the present?